After conducting dozens of hours of research, we have found the best ways to watch The Walking Dead online (the TV show) and have determined Netflix is the best option if you are looking to start from the beginning or catch up on past seasons. If you are up to date with season 7 and wish to stream the episodes of season 8 live as they air (without a cable subscription), then you can utilize a streaming service such as Sling TV's Live TV subscription to stream the AMC channel to your mobile device, computer or compatible Smart TV. In some regions, Netflix has removed the right to stream The Walking Dead through Netflix. 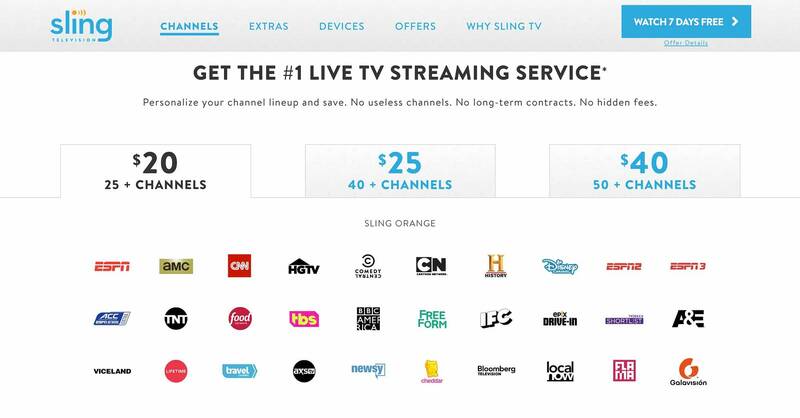 Additionally, Sling's Live TV subscription service (domestic plan) is only currently available in the United States. 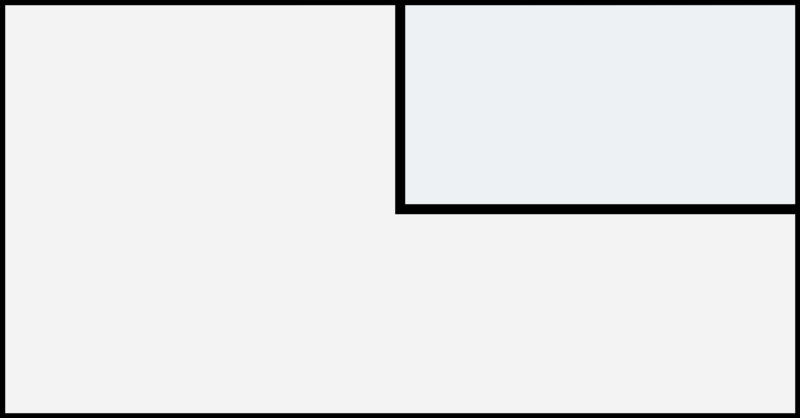 These two barriers can be surpassed through a legal loophole using a service like NordVPN. Which Streaming Services Offer TWD? 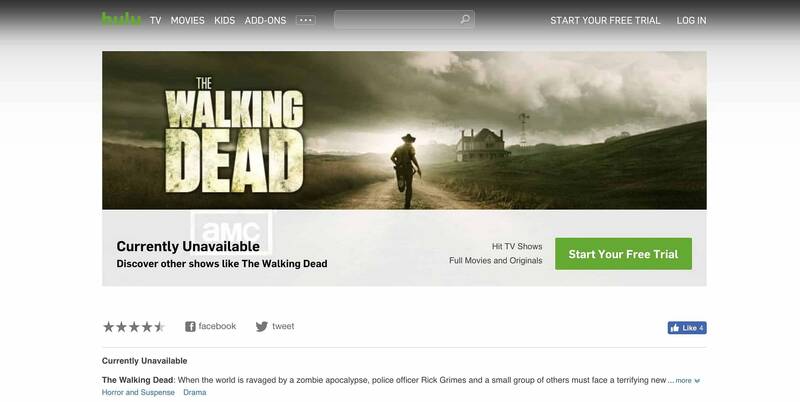 Is The Walking Dead On Hulu? Keep in mind, we produce this content for your benefit without any charge to access this information. Due to the nature of our business, we do have limited advertising are using affiliate links within this article. 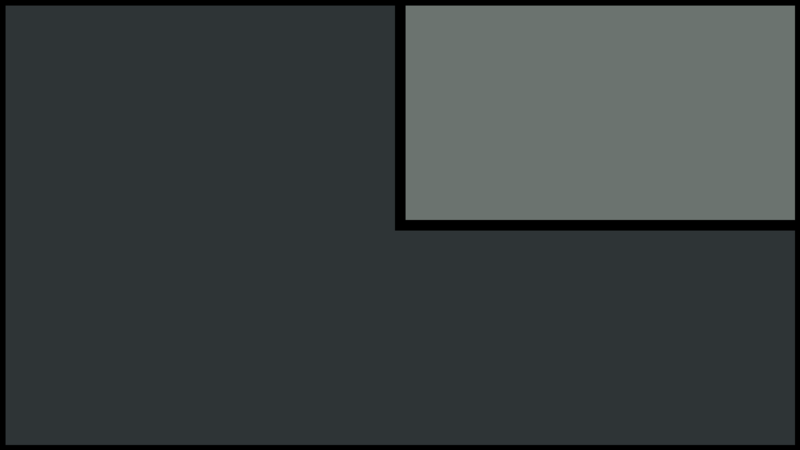 We may earn a commission if you were utilize these links, but you'll pay no additional cost and it will never affect the integrity of our recommendations. The first airing of The Walking Dead took place on AMC back on October 31, 2010. Fast forward nearly eight years later, and the zombie apocalypse show is in the middle of airing its eighth season and has reached 110 episodes. Critics and fans of the show have stirred up a lot of positive publicity for AMC especially after the network's successful conclusion of Breaking Bad. To date, The Walking Dead has a 81% rating on Rotten Tomatoes and an 8.4/10 on IMDb. The series has been nominated for 135 different awards and won 69 of them including a Critics' Choice, Primetime Emmy, People's Choice and MTV award. 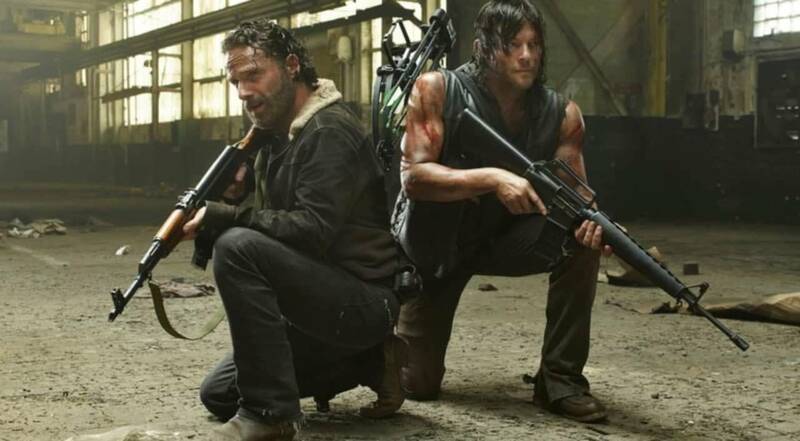 Andrew Lincoln (Rick Grimes) & Norman Reedus (Daryl Dixon) have both won IGN 'Best TV Hero' awards. We know a lot of you came across this article as you weren't able to watch The Walking Dead live as it aired from the beginning. This means you are looking for a way to start watching the series or catch up where you left off on past seasons. Fortunately, there are many ways to accomplish this through reputable and legal providers of video streaming content through the power of the Internet. In the rest of this article, we will cover several solutions for streaming or watching The Walking Dead online without breaking the law (we do not condone piracy). Some of these services will allow you to watch The Walking Dead online free, but the catch is you'll need an existing cable subscription, Netflix or Hulu subscription (some of you will already have this). The simplest way to watch The Walking Dead online free is to stream the episodes through your mobile device, computer, or Smart TV through Netflix. 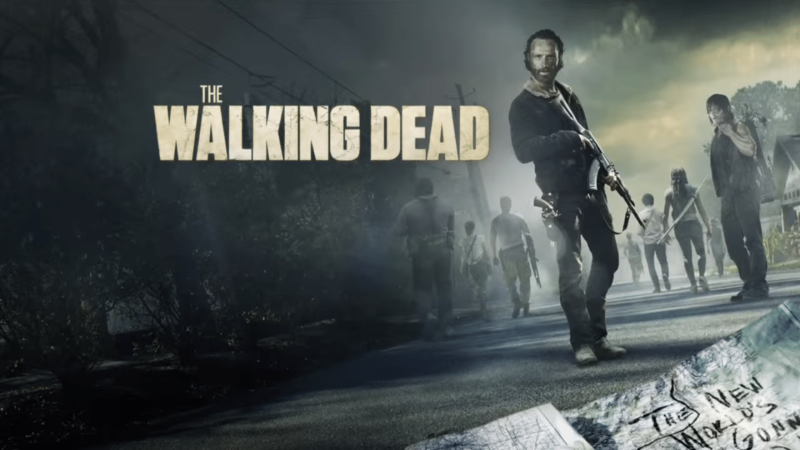 All episodes from The Walking Dead season 1 through season 7 are present totaling 99 episodes available for streaming. This is the only method of streaming The Walking Dead which allows unlimited access to the entire first seven seasons for one low monthly rate. However, it also is the most outdated as it doesn't offer any episodes from Season 8 (yet) unlike Amazon, iTunes, and Vudu which provide the ability to purchase access just a few days after they air. Of course, you'll need to have access to an active Netflix subscription starts at $9.99/month although many of you probably already have a subscription or can borrow a login from a friend, roommate or family member. If you have never had a Netflix subscription in the past, you can sign-up for a free 30-day trial (credit card required for validation). 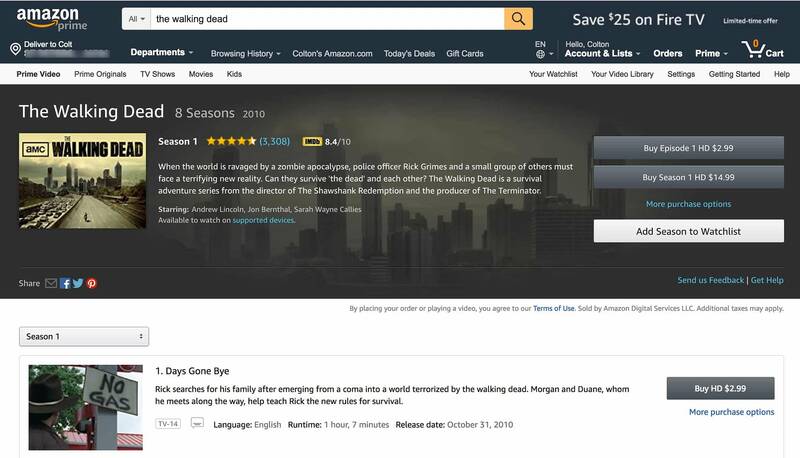 If you don't want to go the Netflix route, then you can purchase access to individual episodes or entire seasons of The Walking Dead through Amazon Instant Video which currently has all of the episodes available from seasons 1 through 8 (newly aired episodes are being added for purchase days after airing live on AMC). Episodes pricing starts at $2.99 for high definition quality (HD) or $1.99 for standard definition quality (SD). Buying the seasons will give you a discount over purchasing each episode individually and start at $14.99 for HD and $9.99 for SD. Season pricing will vary depending on the number of episodes during that given season (some seasons go as high as $41.99). Unfortunately, Amazon Prime Video does not offer free access to streaming The Walking Dead at this time (unlike Suits). Purchasing access via Amazon Instant Video is entirely independent of their premium subscription and being a Prime member gives you no benefit in this area. For those who own many Apple products, the company's iTunes online digital store does sell access to episodes and seasons of The Walking Dead including the most recent episodes from Season 8 after they air. Pricing is similar to Amazon for individual episodes in that the HD are $2.99 and the SD is $1.99, but the per season pricing is higher than Amazon's pricing across the board. 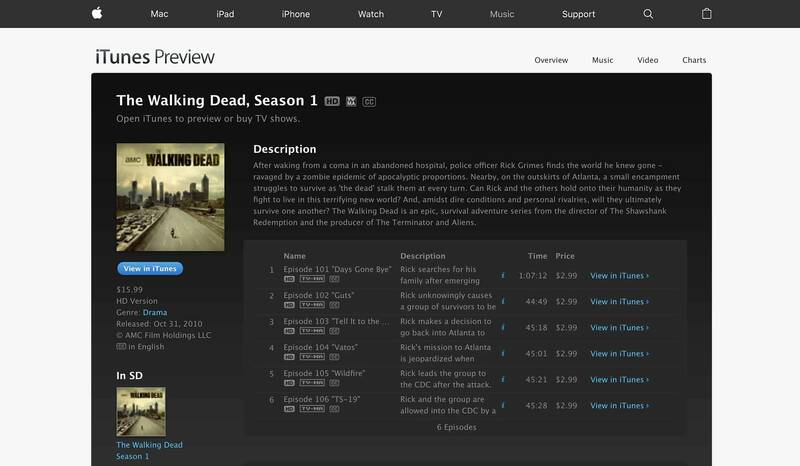 The primary reason we would recommend purchasing through iTunes would only be if you are heavily reliant on watching The Walking Dead through an Apple device like an iPhone, iPad, Apple TV or Mac computer. Otherwise, Amazon's Instant Video service is more easily accessible on streaming devices outside of the Apple ecosystem (plus you save a few bucks when buying access to full seasons). Some of you may not be familiar with Vudu, but the service is reputable and has been a marketplace for digital video content for almost a decade now and was acquired by Walmart back in 2010. 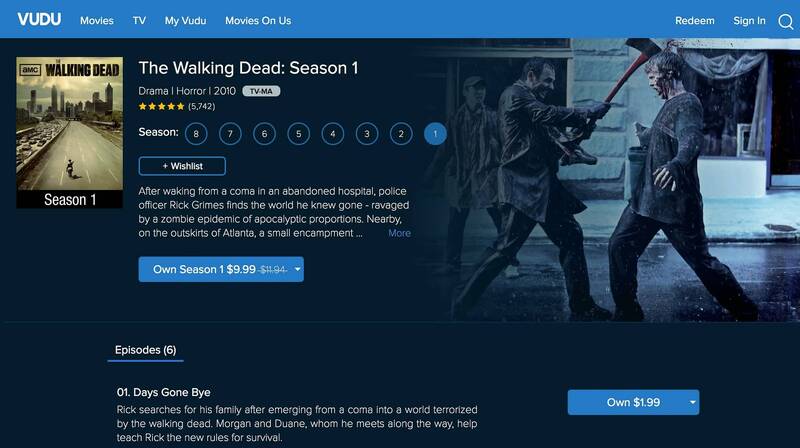 As of now, Vudu is selling access to all of the existing episodes from Season 1 through Season 7 and adding the newest episodes from The Walking Dead Season 8 after they air. Individual episode pricing is the same as Amazon and iTunes. Season pricing is identical to Amazon's although Vudu displays their SD pricing by default so it does look cheaper. 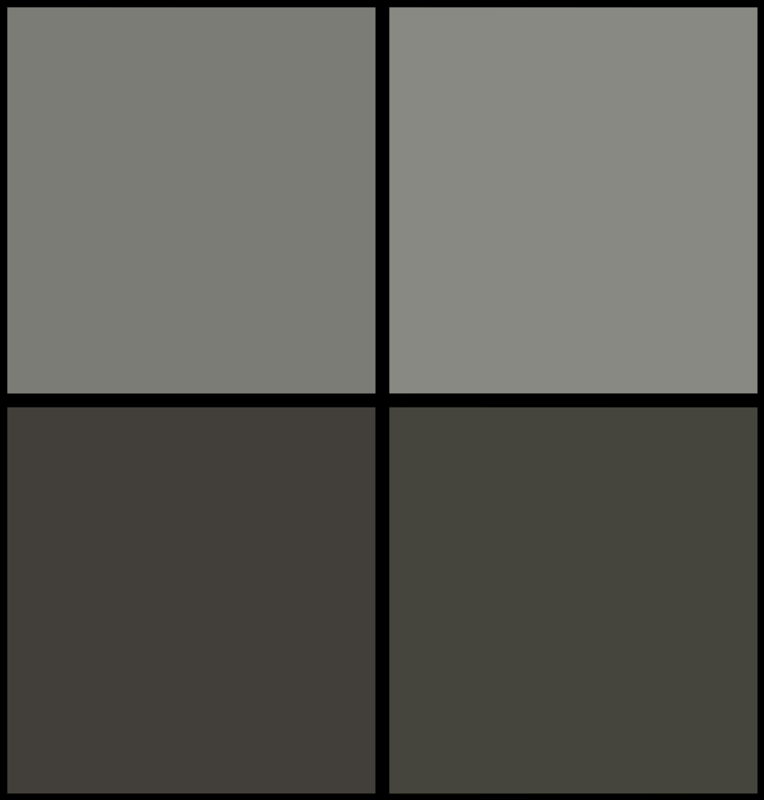 Their HDX (a fancier term for HD) quality will be the usual pricing of its competitors. Since Vudu and Amazon are the same in pricing, we prefer Amazon as we feel their Instant Video service is better overall and offers most support among streaming devices. However, Vudu does have a mobile app for both iOS and Android as well as downloadable apps for streaming devices like Roku Streaming Stick and gaming consoles like the Xbox One. Starting at just $20 per month, Sling TV offers a stand-alone television streaming service for cord-cutters supported by their parent company, DISH. Depending on the timing of your sign-up, you might even be able to score a free Roku Express streaming stick if you pre-pay for 2-months of Sling's online TV service. Both Sling's 'Orange' and 'Blue' plans offer access to AMC streaming (in addition to many other popular channels). However, their base Orange plan is $5/month cheaper than the higher-end Blue plan although it also has 15 less channels included. If you have the budget, you can score their Orange/Blue combo plan for $40 a month which supports 50+ channels. We know some of you prefer a live TV streaming subscription that offers a Cloud DVR feature. Sling doesn't include with their base plans (Hulu does, but doesn't provide AMC streaming at this time) so you'll need to dish out an extra $5 a month if you want to be able to store any missed episodes of The Walking Dead season 8 on the 50 hours of cloud storage. If you are a Hulu subscriber then you are probably disappointed to hear that Hulu doesn't offer any episodes or seasons of The Walking Dead in their on-demand streaming library. The splash page Hulu shows you when searching their library for The Walking Dead. While Hulu offers access to a lot of past television shows on-demand, they do not have any active licensing deal with AMC to stream The Walking Dead. It seems there is an ongoing feud between the two companies as AMC is trying to get Hulu's Live TV subscription to include their channel. 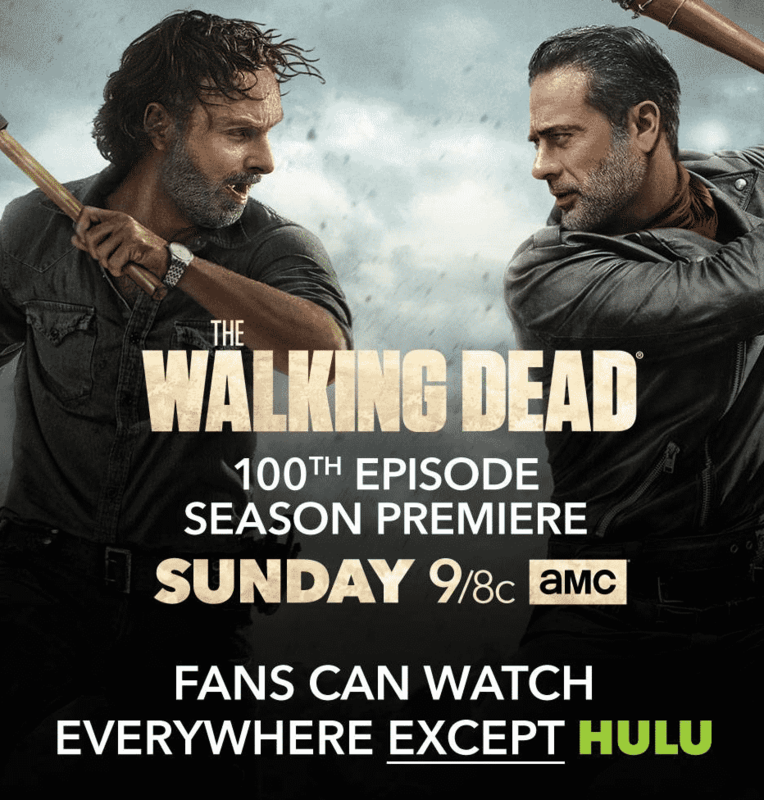 An advertisement for TWD dissing Hulu's lack of support for AMC streaming. Despite the lack of support right now from Hulu, this doesn't mean that we will never see TWD available to stream the platform. Licensing deals come and go (much like the TV show Lost which successfully made the transition from Netflix to Hulu). As of right now, The Walking Dead is not available to access past or current live episodes on Hulu's streaming platform so those hoping to enjoy this television series will have to seek an alternative method. We shouldn't need to provide much explanation for this reason, but the illegal consumption of unlicensed material is against the law. Since there is so many people partaking in these types of unlawful activities, you likely won't ever see a punishment although there is always potential for you to get caught. There are plenty of shady websites or torrents offering the ability to watch or stream The Walking Dead online and while these seem tempting to save a few bucks, there are greater risks present in these methods. According to a study mentioned by the Telegraph, 90% of all illegal film and TV suits in the United Kingdom contained malware or unwanted programs who were designed to defraud the website's visitors. These types of dangers include malware, viruses, spyware, phishing scams, identify theft, excessive spam or the compromise of personal financial information. We know some of you will avoid these warnings and try to take the cheap yet risky way. While we can't stop you, just be advised of one thing. If any of these shady resources who claim you can watch The Walking Dead online free want you to provide any personal information (including your email) or want you to download any sort of third-party software to view the digital video content then DO NOT process. This will almost always be a harmful attempt to gain access to your device/computer or your personal information. 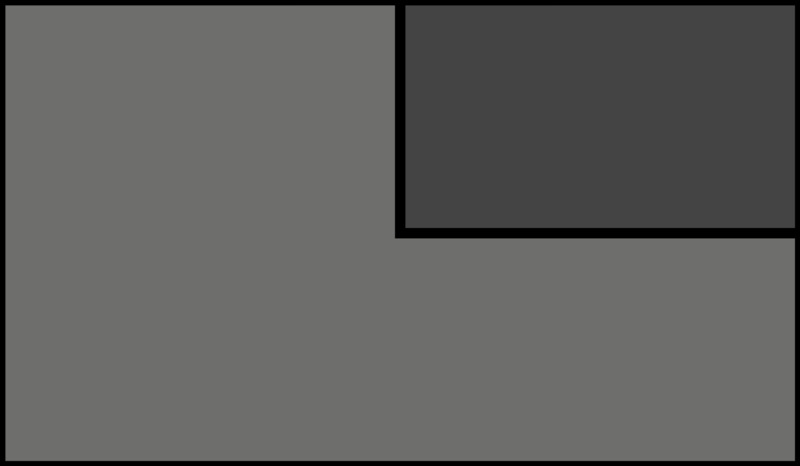 Piracy gives you an easy way to save a couple of bucks and get quick access to content that you wish to watch. However, you are really stealing revenue and measurable metrics (like ratings) from the original content creators which in this case is AMC Studios. Not only are you defrauding the television network from their rightful money, but you are putting the cast, crew, writers and production staff at risk of losing their careers which just isn't cool after they have worked so hard to make The Walking Dead into the high-quality production that it has become. Watching TWD through illegal means also removes any chance for the studio and network to accurately track valuable metrics for the TV show. These metrics like the number of streaming sales or online views help better determine the success of the series and are typically the way a network will decide whether or not to renew a series. In The Walking Dead's case, the metrics were not only the deciding factor behind extending the show up to the current eight seasons, but positive metrics also was a driving force behind AMC's decision to create and air the spin-off series known as Fear The Walking Dead. AMC's spin-off Fear The Walking Dead will soon begin airing its third season. We are lucky to be able to enjoy such quality television in this day and age, on more devices and a higher reach than ever before. If we don't appropriately compensate the creators of these excellent TV series, then there will not be any incentive to keep producing such quality content for us to binge. You have reached the end of our guide, and we hope we introduced you to a suitable way to enjoy Rick, Daryl, Carl and the rest of the survivors do their best to make it through the hectic zombie apocalypse. As of right now, these are the best legal ways to stream or watch The Walking Dead online.